2018 Kia Forte LX Bluetooth, SiriusXM, Cloth Garnet Red **Lanphere Certified 3 mo / 3k Mile Warranty, New Brakes, New Tires, Recent Oil Change, Passed 150 Point Inspection, Vehicle Detailed, Wheel Alignment, Tires Balanced, Alloy Wheels, Audio Package, Bluetooth, Power Mirror Package, Power Package, Safety Package, 4-Wheel Disc Brakes, AM/FM/CD/MP3 Audio System, Delay-off headlights, Electronic Stability Control, Heated door mirrors, Illuminated entry, Outside temperature display, Remote keyless entry, Steering wheel mounted audio controls, Traction control. 29/37 City/Highway MPG Beaverton KIA is one of the first Kia Dealerships in the United states and is part of the Lanphere Auto Group. We've been around for 50+ years serving the local community on Beautiful Canyon Road...Come see us today for an amazing, no hassle experience! Price does not include tax, title and license. You may qualify for additional Kia rebates! Contact Us for details. Price includes: $1,000 - Kia Customer Cash. Exp. 04/30/2019 2019 Kia Forte FE 6MT, Rear Camera, Dual AC, Keyless Entry Aurora Black 4-Wheel Disc Brakes, Automatic temperature control, Exterior Parking Camera Rear, Front dual zone A/C, Fully automatic headlights, Illuminated entry, Radio: UVO Play AM/FM/MP3 Audio System, Remote keyless entry, Steering wheel mounted audio controls. 27/37 City/Highway MPG Beaverton KIA is one of the first Kia Dealerships in the United states and is part of the Lanphere Auto Group. We've been around for 50+ years serving the local community on Beautiful Canyon Road...Come see us today for an amazing, no hassle experience! Price does not include tax, title and license. You may qualify for additional Kia rebates! Contact Us for details. Price includes: $1,000 - Kia Customer Cash. Exp. 04/30/2019 2019 Kia Forte FE 6MT, Rear Camera, Dual AC, Keyless Entry Clear White 4-Wheel Disc Brakes, Automatic temperature control, Exterior Parking Camera Rear, Front dual zone A/C, Fully automatic headlights, Illuminated entry, Remote keyless entry, Steering wheel mounted audio controls. 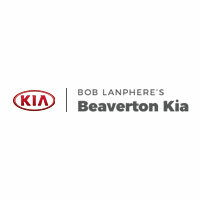 27/37 City/Highway MPG Beaverton KIA is one of the first Kia Dealerships in the United states and is part of the Lanphere Auto Group. We've been around for 50+ years serving the local community on Beautiful Canyon Road...Come see us today for an amazing, no hassle experience! Price does not include tax, title and license. You may qualify for additional Kia rebates! Contact Us for details. Price includes: $1,000 - Kia Customer Cash. Exp. 04/30/2019 2019 Kia Forte S Rear Camera, Lane Keep, Dual AC Aurora Black Exterior Parking Camera Rear, Front dual zone A/C, Fully automatic headlights, Radio: UVO eServices AM/FM/MP3 Audio System, Remote keyless entry, Steering wheel mounted audio controls, Traction control. 30/40 City/Highway MPG Beaverton KIA is one of the first Kia Dealerships in the United states and is part of the Lanphere Auto Group. We've been around for 50+ years serving the local community on Beautiful Canyon Road...Come see us today for an amazing, no hassle experience! Price does not include tax, title and license. You may qualify for additional Kia rebates! Contact Us for details. Price includes: $1,000 - Kia Customer Cash. Exp. 04/30/2019 2019 Kia Forte S Moonroof, Lane Keep, LED Lights Silky Silver 4-Wheel Disc Brakes, Air Conditioning, Exterior Parking Camera Rear, Front dual zone A/C, Fully automatic headlights, Illuminated entry, Overhead LED Front & Rear Reading Lights, Power Sunroof, Radio: UVO eServices AM/FM/MP3 Audio System, Remote keyless entry, S Premium Package, Single Projection LED Headlights, Steering wheel mounted audio controls. 30/40 City/Highway MPG Beaverton KIA is one of the first Kia Dealerships in the United states and is part of the Lanphere Auto Group. We've been around for 50+ years serving the local community on Beautiful Canyon Road...Come see us today for an amazing, no hassle experience! Price does not include tax, title and license. You may qualify for additional Kia rebates! Contact Us for details. Price includes: $1,000 - Kia Customer Cash. Exp. 04/30/2019 2019 Kia Forte S Moonroof, Lane Keep, LED Lights Silky Silver Automatic temperature control, Brake assist, Exterior Parking Camera Rear, Front dual zone A/C, Fully automatic headlights, Illuminated entry, Overhead LED Front & Rear Reading Lights, Power Sunroof, Radio: UVO eServices AM/FM/MP3 Audio System, Remote keyless entry, S Premium Package, Single Projection LED Headlights. 30/40 City/Highway MPG Beaverton KIA is one of the first Kia Dealerships in the United states and is part of the Lanphere Auto Group. We've been around for 50+ years serving the local community on Beautiful Canyon Road...Come see us today for an amazing, no hassle experience! Price does not include tax, title and license. You may qualify for additional Kia rebates! Contact Us for details. Price includes: $1,000 - Kia Customer Cash. Exp. 04/30/2019 2019 Kia Forte S Moonroof, Lane Keep, LED Lights Silky Silver Automatic temperature control, Exterior Parking Camera Rear, Front Bucket Seats, Front dual zone A/C, Fully automatic headlights, Illuminated entry, Overhead LED Front & Rear Reading Lights, Power Sunroof, Radio: UVO eServices AM/FM/MP3 Audio System, Remote keyless entry, S Premium Package, Single Projection LED Headlights, Steering wheel mounted audio controls. 30/40 City/Highway MPG Beaverton KIA is one of the first Kia Dealerships in the United states and is part of the Lanphere Auto Group. We've been around for 50+ years serving the local community on Beautiful Canyon Road...Come see us today for an amazing, no hassle experience! Price does not include tax, title and license. You may qualify for additional Kia rebates! Contact Us for details. Price includes: $1,000 - Kia Customer Cash. Exp. 04/30/2019 2019 Kia Forte S Moonroof, Lane Keep, LED Lights Silky Silver 4-Wheel Disc Brakes, Exterior Parking Camera Rear, Front dual zone A/C, Fully automatic headlights, Illuminated entry, Overhead LED Front & Rear Reading Lights, Power Sunroof, Radio: UVO eServices AM/FM/MP3 Audio System, Remote keyless entry, S Premium Package, Single Projection LED Headlights, Steering wheel mounted audio controls. 30/40 City/Highway MPG Beaverton KIA is one of the first Kia Dealerships in the United states and is part of the Lanphere Auto Group. We've been around for 50+ years serving the local community on Beautiful Canyon Road...Come see us today for an amazing, no hassle experience! Price does not include tax, title and license. You may qualify for additional Kia rebates! Contact Us for details. Price includes: $1,000 - Kia Customer Cash. Exp. 04/30/2019 2019 Kia Forte S Moonroof, Lane Keep, LED Lights Silky Silver 4-Wheel Disc Brakes, Electronic Stability Control, Exterior Parking Camera Rear, Front dual zone A/C, Fully automatic headlights, Illuminated entry, Overhead LED Front & Rear Reading Lights, Power Sunroof, Radio: UVO eServices AM/FM/MP3 Audio System, Remote keyless entry, S Premium Package, Single Projection LED Headlights, Steering wheel mounted audio controls. 30/40 City/Highway MPG Beaverton KIA is one of the first Kia Dealerships in the United states and is part of the Lanphere Auto Group. We've been around for 50+ years serving the local community on Beautiful Canyon Road...Come see us today for an amazing, no hassle experience! Price does not include tax, title and license. You may qualify for additional Kia rebates! Contact Us for details. Price includes: $1,000 - Kia Customer Cash. Exp. 04/30/2019 2019 Kia Forte S Moonroof, Lane Keep, LED Lights Deep Sea Blue Exterior Parking Camera Rear, Front dual zone A/C, Fully automatic headlights, Overhead LED Front & Rear Reading Lights, Power Sunroof, Radio: UVO eServices AM/FM/MP3 Audio System, S Premium Package, Single Projection LED Headlights, Steering wheel mounted audio controls. 30/40 City/Highway MPG Beaverton KIA is one of the first Kia Dealerships in the United states and is part of the Lanphere Auto Group. We've been around for 50+ years serving the local community on Beautiful Canyon Road...Come see us today for an amazing, no hassle experience! Price does not include tax, title and license. You may qualify for additional Kia rebates! Contact Us for details. Price includes: $1,000 - Kia Customer Cash. Exp. 04/30/2019 2019 Kia Forte S Silky Silver 30/40 City/Highway MPG Beaverton KIA is one of the first Kia Dealerships in the United states and is part of the Lanphere Auto Group. We've been around for 50+ years serving the local community on Beautiful Canyon Road...Come see us today for an amazing, no hassle experience! Price does not include tax, title and license. You may qualify for additional Kia rebates! Contact Us for details. Price includes: $1,000 - Kia Customer Cash. Exp. 04/30/2019 2019 Kia Forte S Moonroof, Lane Keep, LED Lights Silky Silver Exterior Parking Camera Rear, Front dual zone A/C, Fully automatic headlights, Illuminated entry, Overhead LED Front & Rear Reading Lights, Power Sunroof, Radio: UVO eServices AM/FM/MP3 Audio System, Remote keyless entry, S Premium Package, Single Projection LED Headlights, Steering wheel mounted audio controls. 30/40 City/Highway MPG Beaverton KIA is one of the first Kia Dealerships in the United states and is part of the Lanphere Auto Group. We've been around for 50+ years serving the local community on Beautiful Canyon Road...Come see us today for an amazing, no hassle experience! Price does not include tax, title and license. You may qualify for additional Kia rebates! Contact Us for details. Price includes: $1,000 - Kia Customer Cash. Exp. 04/30/2019 2019 Kia Forte S Moonroof, Lane Keep, LED Lights Silky Silver 4-Wheel Disc Brakes, Automatic temperature control, Exterior Parking Camera Rear, Front dual zone A/C, Fully automatic headlights, Illuminated entry, Overhead LED Front & Rear Reading Lights, Power Sunroof, Radio: UVO eServices AM/FM/MP3 Audio System, Remote keyless entry, S Premium Package, Single Projection LED Headlights. 30/40 City/Highway MPG Beaverton KIA is one of the first Kia Dealerships in the United states and is part of the Lanphere Auto Group. We've been around for 50+ years serving the local community on Beautiful Canyon Road...Come see us today for an amazing, no hassle experience! Price does not include tax, title and license. You may qualify for additional Kia rebates! Contact Us for details. Price includes: $1,000 - Kia Customer Cash. Exp. 04/30/2019 2019 Kia Forte S Moonroof, Lane Keep, LED Lights Deep Sea Blue 4-Wheel Disc Brakes, Automatic temperature control, Brake assist, Exterior Parking Camera Rear, Front Bucket Seats, Front dual zone A/C, Fully automatic headlights, Illuminated entry, Overhead LED Front & Rear Reading Lights, Power Sunroof, Radio: UVO eServices AM/FM/MP3 Audio System, Remote keyless entry, S Premium Package, Single Projection LED Headlights, Steering wheel mounted audio controls. 30/40 City/Highway MPG Beaverton KIA is one of the first Kia Dealerships in the United states and is part of the Lanphere Auto Group. We've been around for 50+ years serving the local community on Beautiful Canyon Road...Come see us today for an amazing, no hassle experience! Price does not include tax, title and license. You may qualify for additional Kia rebates! Contact Us for details. Price includes: $1,000 - Kia Customer Cash. Exp. 04/30/2019 2019 Kia Forte LXS Lane Keep Assist, Rear Cam, Dual AC Clear White ABS brakes, Electronic Stability Control, Exterior Parking Camera Rear, Front dual zone A/C, Fully automatic headlights, Illuminated entry, Low tire pressure warning, Radio: UVO Play AM/FM/MP3 Audio System, Remote keyless entry, Traction control. 30/40 City/Highway MPG Beaverton KIA is one of the first Kia Dealerships in the United states and is part of the Lanphere Auto Group. We've been around for 50+ years serving the local community on Beautiful Canyon Road...Come see us today for an amazing, no hassle experience! Price does not include tax, title and license. You may qualify for additional Kia rebates! Contact Us for details. Price includes: $1,000 - Kia Customer Cash. Exp. 04/30/2019 2019 Kia Forte S Moonroof, Lane Keep, LED Lights Currant Red 4-Wheel Disc Brakes, Automatic temperature control, Exterior Parking Camera Rear, Front dual zone A/C, Fully automatic headlights, Illuminated entry, Overhead LED Front & Rear Reading Lights, Power Sunroof, Radio: UVO eServices AM/FM/MP3 Audio System, Remote keyless entry, S Premium Package, Single Projection LED Headlights, Steering wheel mounted audio controls. 30/40 City/Highway MPG Beaverton KIA is one of the first Kia Dealerships in the United states and is part of the Lanphere Auto Group. We've been around for 50+ years serving the local community on Beautiful Canyon Road...Come see us today for an amazing, no hassle experience! Price does not include tax, title and license. You may qualify for additional Kia rebates! Contact Us for details. Price includes: $1,000 - Kia Customer Cash. Exp. 04/30/2019 2019 Kia Forte S Moonroof, Lane Keep, LED Lights Currant Red Exterior Parking Camera Rear, Front dual zone A/C, Fully automatic headlights, Illuminated entry, Overhead LED Front & Rear Reading Lights, Power Sunroof, Radio: UVO eServices AM/FM/MP3 Audio System, Remote keyless entry, S Premium Package, Single Projection LED Headlights, Steering wheel mounted audio controls. 30/40 City/Highway MPG Beaverton KIA is one of the first Kia Dealerships in the United states and is part of the Lanphere Auto Group. We've been around for 50+ years serving the local community on Beautiful Canyon Road...Come see us today for an amazing, no hassle experience! Price does not include tax, title and license. You may qualify for additional Kia rebates! Contact Us for details. Price includes: $1,000 - Kia Customer Cash. Exp. 04/30/2019 2019 Kia Forte S Moonroof, Lane Keep, LED Lights Currant Red 4-Wheel Disc Brakes, Exterior Parking Camera Rear, Front dual zone A/C, Fully automatic headlights, Illuminated entry, Overhead LED Front & Rear Reading Lights, Power Sunroof, Radio: UVO eServices AM/FM/MP3 Audio System, Remote keyless entry, S Premium Package, Single Projection LED Headlights. 30/40 City/Highway MPG Beaverton KIA is one of the first Kia Dealerships in the United states and is part of the Lanphere Auto Group. We've been around for 50+ years serving the local community on Beautiful Canyon Road...Come see us today for an amazing, no hassle experience! Price does not include tax, title and license. You may qualify for additional Kia rebates! Contact Us for details. Price includes: $1,000 - Kia Customer Cash. Exp. 04/30/2019 2019 Kia Forte S Moonroof, Lane Keep, LED Lights Aurora Black 4-Wheel Disc Brakes, Exterior Parking Camera Rear, Front dual zone A/C, Fully automatic headlights, Illuminated entry, Overhead LED Front & Rear Reading Lights, Power Sunroof, Radio: UVO eServices AM/FM/MP3 Audio System, Remote keyless entry, S Premium Package, Single Projection LED Headlights, Steering wheel mounted audio controls. 30/40 City/Highway MPG Beaverton KIA is one of the first Kia Dealerships in the United states and is part of the Lanphere Auto Group. We've been around for 50+ years serving the local community on Beautiful Canyon Road...Come see us today for an amazing, no hassle experience! Price does not include tax, title and license. You may qualify for additional Kia rebates! Contact Us for details. Price includes: $1,000 - Kia Customer Cash. Exp. 04/30/2019 2019 Kia Forte S Moonroof, Lane Keep, LED Lights Aurora Black 4-Wheel Disc Brakes, Automatic temperature control, Exterior Parking Camera Rear, Front dual zone A/C, Fully automatic headlights, Illuminated entry, Overhead LED Front & Rear Reading Lights, Power Sunroof, Radio: UVO eServices AM/FM/MP3 Audio System, Remote keyless entry, S Premium Package, Single Projection LED Headlights, Steering wheel mounted audio controls. 30/40 City/Highway MPG Beaverton KIA is one of the first Kia Dealerships in the United states and is part of the Lanphere Auto Group. We've been around for 50+ years serving the local community on Beautiful Canyon Road...Come see us today for an amazing, no hassle experience! Price does not include tax, title and license. You may qualify for additional Kia rebates! Contact Us for details. Price includes: $1,000 - Kia Customer Cash. Exp. 04/30/2019 2019 Kia Forte S Moonroof, Lane Keep, LED Lights Currant Red 4-Wheel Disc Brakes, Exterior Parking Camera Rear, Front dual zone A/C, Fully automatic headlights, Illuminated entry, Overhead LED Front & Rear Reading Lights, Power Sunroof, Remote keyless entry, S Premium Package, Single Projection LED Headlights, Steering wheel mounted audio controls. 30/40 City/Highway MPG Beaverton KIA is one of the first Kia Dealerships in the United states and is part of the Lanphere Auto Group. We've been around for 50+ years serving the local community on Beautiful Canyon Road...Come see us today for an amazing, no hassle experience! Price does not include tax, title and license. You may qualify for additional Kia rebates! Contact Us for details. Price includes: $1,000 - Kia Customer Cash. Exp. 04/30/2019 2019 Kia Forte LXS Lane Keep Assist, Rear Cam, Dual AC Currant Red ABS brakes, Electronic Stability Control, Exterior Parking Camera Rear, Front dual zone A/C, Fully automatic headlights, Illuminated entry, Low tire pressure warning, Radio: UVO Play AM/FM/MP3 Audio System, Remote keyless entry, Traction control. 30/40 City/Highway MPG Beaverton KIA is one of the first Kia Dealerships in the United states and is part of the Lanphere Auto Group. We've been around for 50+ years serving the local community on Beautiful Canyon Road...Come see us today for an amazing, no hassle experience! Price does not include tax, title and license. You may qualify for additional Kia rebates! Contact Us for details.